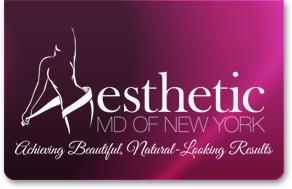 Laser hair removal can be used on virtually all areas of the body and on all types of skin – even tanned or dark skin. To eliminate hair, Dr. Adler uses the Cynosure® Elite laser; one of the most technologically advanced aesthetic lasers available today. The Cynosure Elite® emits gentle pulses of energy that pass through the skin to the hair follicle. This energy is then absorbed into the hair follicle, ultimately preventing it from being able to grow hair. Laser treatment causes only minimal discomfort. Patients often say it feels similar to the snap of a rubber band. Slight redness or localized swelling can occasionally occur, but this usually subsides within the first 24 hours after treatment. Typically patients will see results in four-to-six treatments, though this will vary based on skin tone and hair color, among other factors.